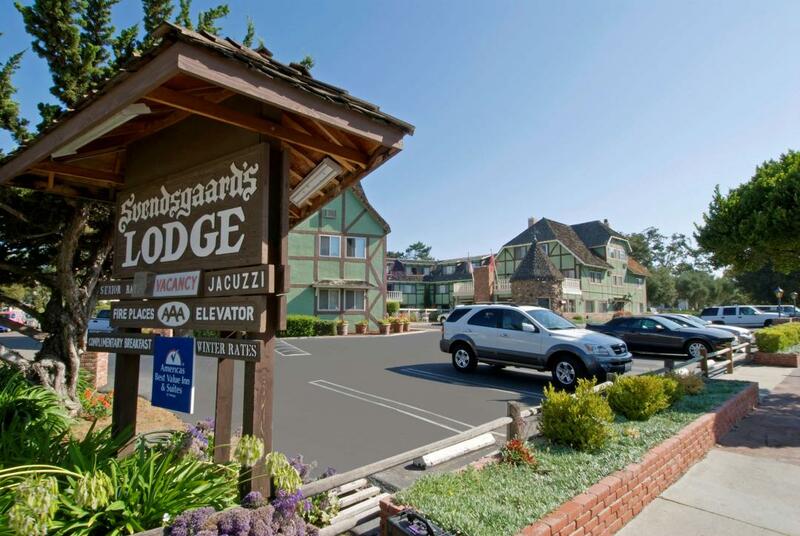 A charming 3 story interior and exterior corridor AAA rated lodge, built in the finest of traditional Danish Architecture, The Americas Best Value Svendsgaard's Danish Lodge is in the heart of the Santa Ynez Valley. Situated in the center of Santa Barbara County's wine country where you will find many fine wineries nearby, you can stroll through the wonderful Danish Village where there are many fine specialty shops, Danish Bakeries and Restaurants and the village is rich in Danish Heritage, tradition and culture. You can play a round of golf at the Alisal Golf Course or La Purisima Golf Course one of California's top 10 championship golf courses or visit the Santa Ynez Mission just across the street. Vandenburg Air Force Base and fine beaches are a short distance away. Our property is 100 percent non-smoking. The lodges' 48 exquisitely decorated and spacious guest rooms feature cable TV with HBO, free wireless internet, refrigerators, hairdryers, irons and iron boards and many have microwaves, recliners and gas powered fireplaces where you can relax for the evening in the comfort and coziness of your room. You can enjoy a swim in our sparkling outdoor swimming pool and spa and a deluxe continental breakfast is served in our spacious lobby in the warmth of our fireplace. Whether you are traveling from near or far or just on a weekend getaway the Americas Best Value Svendsgaard's Lodge is an experience that will remain close to your heart. Check out these Solvang attractions during your stay. Great Indian Casino, 3 mi. Vandenberg Space Center, 30 mi.